BTM Episode 118: Who's ready for the Paw Paw Wine & Harvest Festival? 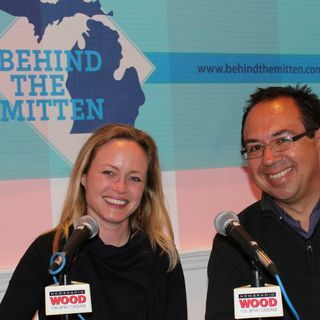 On this episode of Behind the Mitten, John Gonzalez and Amy Sherman travel to Paw Paw Brewing as the community gets ready for the annual Paw Paw Wine & Harvest Festival (Sept. 8-10). Of course we'll do BEER OF THE WEEK. Segment 1: Marilyn Clear, the Executive Director of the Paw Paw Wine & Harvest Festival, and winemaker Kyle of St. Julian Winery talk about all the events coming up this year. The wine festival opened in the late '40s and attracts more than 50,000 over three ... Maggiori informazioni days. St. Julian has several events each, including food, music and tours. Segment 2 (Listen at 10:28): Learn more about the Paw Paw community. Joining the show is Lisa Marovec (Director of Marketing and Member Services at South Haven/Van Buren County Convention and Visitors Bureau) and Duane Zuber from Comfort Inn & Suites. Segment 3 (Listen at 19:21): We interview Larry Nielsen, the village manager in Paw Paw. BEER OF THE WEEK (Citra Melon, a session IPA, 4.8% ABV).